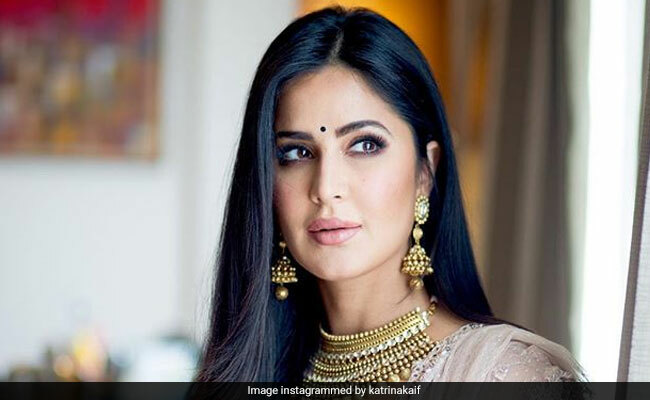 Katrina Kaif, who had previously confessed that she was looking forward to attend the celebrity weddings last year, recently had a priceless reaction about her celebrity friends getting married. In an episode of Famously Filmfare, Katrina was in conversation with editor Jitesh Pillai, when she said: "Everybody's getting married and I'm like no... no... no... don't leave me behind... WAIT!" Lol. Earlier on an episode of Koffee With Karan 6 at the beginning of November, Katrina Kaif had told Karan Johar: "I'm really excited about all these weddings. I want to wear nice clothes and go to attend." But she self admittedly added that she was yet to get invitations to the weddings. "I might not be invited for any but that's a separate thing. But in my mind I'm looking forward to an invitation," she had added. Katrina Kaif was referring to the then-upcoming weddings of Deepika Padukone and Ranveer Singh and also Priyanka Chopra and Nick Jonas. Katrina went to Priyanka's Mumbai reception with Salman Khan while contrary to reports that Katrina would skip attending Deepika and Ranveer's wedding reception in Mumbai, the actress had made a head-turning entry. Soon after this, Katrina reportedly started following Deepika back on Instagram. Katrina reportedly dated Salman Khan sometime after Maine Pyaar Kyun Kiya? released in 2005, after which she was said to be seeing Ranbir Kapoor. Gossip columns often cited Ranbir's closeness to Katrina as the reason behind his break-up with Deepika. Neither Ranbir Kapoor nor his rumoured girlfriend Alia Bhatt attended Deepika's wedding. Talking to Mumbai Mirror in an interview last year, Katrina shared her dreamy ideas of love and about marriage, said: "It was on my mind but it didn't work out and you have to keep following the path set for you in life. I don't stress about it now. I am at peace with the fact that some things didn't turn out the way I had hoped for." Katrina Kaif was last seen in Zero and in Thugs Of Hindostan before that. Katrina Kaif will next be seen in Bharat opposite Salman Khan.